Sound—more than smell, taste, or even sight—has a unique power to move us. Zimoun, the Swiss installation artist, makes it his business to exploit it. You'd be amazed at how spooky the sound of a few cotton balls hitting a wall can be. Zimoun uses simple, cheaply-bought materials, like cardboard boxes, cotton balls, and pieces of string, which he animates using hundreds of DC motors. 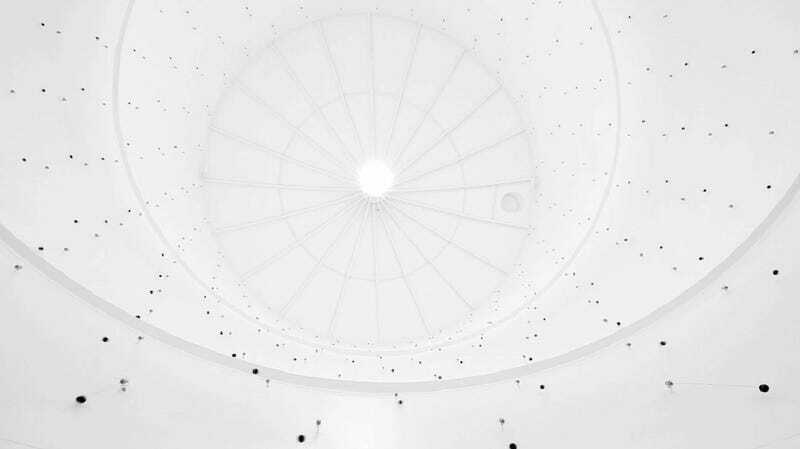 His latest soundscape was installed in an empty water tower in an industrial park in Dottikon, Switzerland. The piece—sensibly titled 329 prepared dc-motors, cotton balls, toluene tank—is exactly what it says it is: several hundred compact cotton balls, each attached to a simple DC motor. When the lights in the space go on and the installation whirs to life, it blankets the space in a droning, uncanny rhythm. In sound to create space, but also in sound which somehow is inhabiting a room and interacting with it. In three-dimensional sound structures as well as in a spatial experience and exploration of sound. Sound to create somehow static sound architectures that can be entered and explored acoustically. Similar like walking around in a building.